A chef waved dead ducks in the faces of vegan activists after they stormed a London restaurant this week. 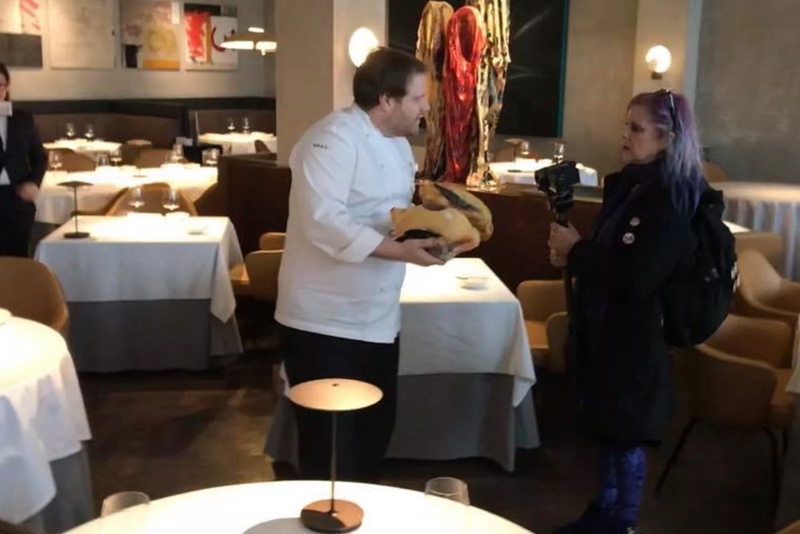 The animal rights campaigners, with grassroots organization DxE, were protesting the use of foie gras at Michelin-starred restaurant The Square in Mayfair. The man, reportedly the restaurant's Executive Chef Clément Leroy, disrupted the protest by waving the animals around as activists chanted: "It's not food, it's violence." According to one of the activists at the event, the chef 'seemed to be proud of the cruelty involved'. "He was waving dead bodies around far from the food preparation area," he added. "I'm sure local food safety officers will be interested in his actions." "DXE is a worldwide animal rights organization which promotes peaceful protests to wake society up to the cruelty and suffering involved in meat, dairy, fish, and egg production," said a statement by DxE. "We aim to awaken people’s compassion in order to bring about a vegan world." Plant Based News has contacted The Square for comment.